The night before the All-Ireland, Philly McMahon received a text from a friend telling him to have a look for him on Hill 16 the following day. McMahon, as he says himself "loves taking the energy of the stadium in," prior to matches and unlike some of his more laser-beam focused team-mates, he tends to gaze aimlessly into the stands in the pre-match parade, absorbing the power and the colour of it all. He couldn't spot Tomás, his friend, and thought no more of it until he brought Sam Maguire down to the terrace in the post-match celebrations. And there he saw it. 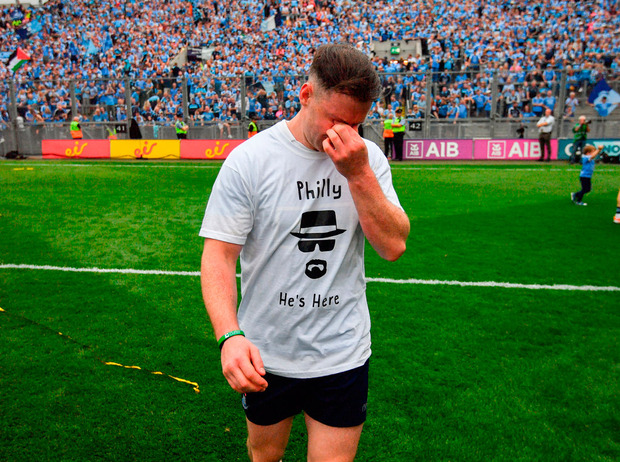 "He threw it over to me," he says of the shirt with a picture of the Walter White/Heisenberg character in Breaking Bad and the message: 'Philly He's Here' in reference to his later father Phil, a ringer for the antihero in the acclaimed TV series. "I didn't know he was going to do it," McMahon explains now. "The last two years have been tough for me because of my Dad's situation," he says. 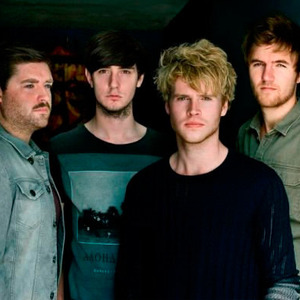 "I'm just so lucky I had a great support network around me with the lads. "There's a lot of people who have issues in their lives and adversity in their lives. "People say, especially with mental health nowadays, people say it's okay to say there's something wrong with you. "For me, sometimes actions are nearly stronger. "To see Eoghan O'Gara going up to my Da through his illness, just to take that time, the guy has a young family and he was travelling down to Wexford. "That just shows you the character that we have in the squad. Other lads done it as well. "When you have that, that drives you on. "It drives you on to fight for each other. That brings that little bit of a closeness even tighter. "For me," McMahon goes on, "I'm very fortunate. "It was the same with my club, Ballymun Kickhams, and all the other supports that you have around you in the GAA community and certainly in my community in Ballymun. "I'm just grateful that I was able to get my Dad to see me win the All-Ireland last year. "As I said, I was a small part of helping the team win, to do that for somebody else." Philanthropic effects aside, the win has done McMahon's legacy no harm either. He is one of the 11 who will receive a sixth All-Ireland medal this December. He is also part of an even more select group containing only Stephen Cluxton, Cian O'Sullivan, James McCarthy and Kevin McManamon to have played a part in every Dublin All-Ireland final appearance since 2011. McMahon has told the story in the past, the one where as a child, he goes past Croke Park as a passenger in his mother's car and predicts: "I'll play there one day." "But six All-Irelands? Jesus, no," he says, puffing out his cheeks. "And it's what it's brought, the success of those All-Irelands, is probably more important than just saying 'I've won an All-Ireland', the way I've been fortunate enough to be able to develop a platform to help other people. "And for me that's the best bit about winning an All-Ireland, not saying four in a row, or six All-Irelands. "It's what you get from it, and what you can give from it." Which is a way of interpreting his sporting vocation that McMahon has evolved towards. "Look it, at the start I loved football, it was a hobby," he stresses. "You win your first All-Ireland and your second All-Ireland and it's incredible. "For me, then, I was very lucky that I was developing purpose out of it. And I saw the benefit of using sport as a platform to help people. "Not everybody will get that, but I did, and I'm very fortunate. "My motivation is that apart from the gratitude piece, we're putting smiles on so many people's faces, especially in my instance last year with my Dad. "I'm only a small cog in the wheel in terms of helping the lads to win an All-Ireland last year and this year. "There's loads of people like that in Croke Park yesterday that probably won't see another game, probably won't see another All-Ireland," McMahon concludes. "How could you not be motivated to go and pull on the Dublin jersey?"